Do you need Temporary Permissions in the UK? In the continued absence of a deal between the UK and the EU and with only 6 weeks to go until Brexit, we have prepared a Guide to the UK regimes which have been designed to enable EU Financial Institutions to continue operations in the UK in the event of a 'no deal' Brexit. If you have already submitted an application for UK authorisation, you will automatically be part of the UK's Temporary Permissions regime. The Guide will highlight some of the key characteristics of this regime. If you have not done so, the Guide will help you understand what action you may need to take by 28th March. Active steps may need to be taken. If you think you might want to continue to operate your UK business post Brexit, you need to notify the UK regulators of your intention to take part in the Temporary Permissions regime. If you do not wish to enter the Temporary Permissions, the Financial Services Contracts regime should apply to enable you to run off your existing business. The Guide explains how this arrangement will work. 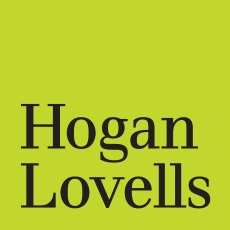 If you need advice or would be interested in receiving a copy of the guide, please contact Rachel Kent, Dominic Hill or another member of the Hogan Lovells team in Europe.